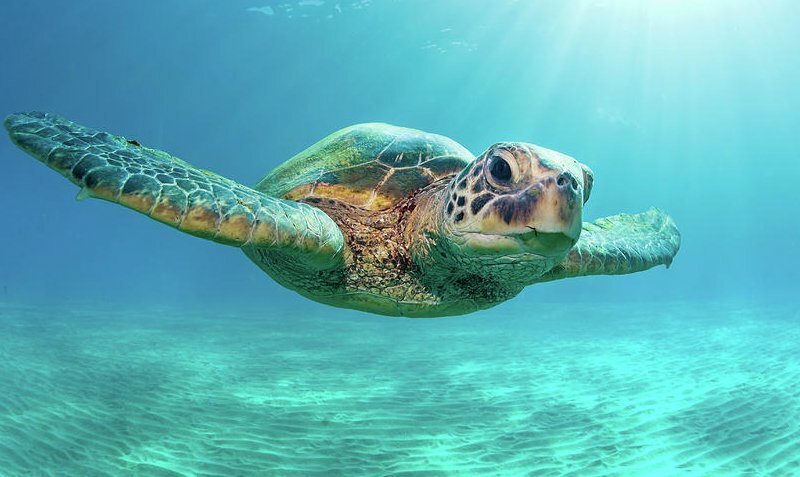 A Green Sea Turtle in the Great Barrier Reef (Image Credit: Mysa). An alliance of Far North Queensland businesses, including Great Barrier Reef tourism operators, have urged the federal government to fight for our Reef on World Tourism Day. In May the Association of Marine Park Tourism Operators (AMPTO) and the Australian Marine Conservation Society (AMCS) released a historic Reef Climate Declaration, calling on the federal government to rapidly phase out fossil fuels and transition to renewable energy. “It’s not too late to save the Reef but time is critical”, the statement says. The Declaration is now signed by 150 businesses including the peak tourism industry body, AMPTO, the Cairns Aquarium and the Pullman International Hotel. “The Reef is a magnet for people all around the world. It generates $6 billion each year and sustains 64 000 jobs. “The Reef is still a beautiful and dynamic place but it’s under serious threat from climate change and we need our leaders to put in place strong climate and energy policies to protect its future,” he said. AMCS’s Great Barrier Reef Campaigner David Cazzulino says: “Climate change, mainly driven by mining and burning coal and other fossil fuels, is the single biggest threat to the Great Barrier Reef. “Taking action on climate change for our Reef means stopping Adani’s polluting coal mine and embracing clean renewable energy. “Here in Cairns we’re seeing the impacts of climate change on our Reef but local businesses are joining the fight to protect it.